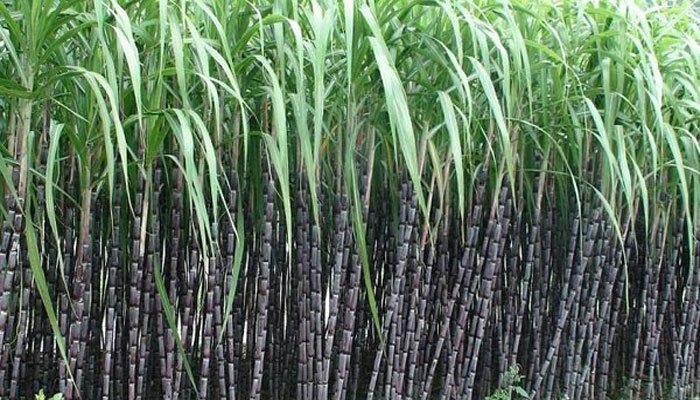 MULTAN: Pakistan is the fifth largest sugarcane producer in the world with an annual production of 63,800 thousand metric tons (TMTs), after Brazil, India, China and Thailand. Brazil is the top ranking country producing 739,300 TMTs of sugarcane annually. India is on the second berth with 341,200 TMTs, Peoples Republic of China on the third spot with 125,500 TMTs, and Thailand is fourth in the order with 100,100 TMTs annual production. The United States of America (USA) was listed on 10th spot with 27,900 TMTs production, Philippians on the 9th with 31,900 TMTs, Indonesia ranked 8th with 33,700 TMTs, Colombia on the 7th with 34,900 TMTs and Mexico ranked sixth with 61,200 TMTs. A sugarcane grower Irfan Khokhar told APP that Pakistan's ranking among top 10 sugarcane producing countries showed that farmers here were industrious and getting good production amid adverse circumstances. He said that sugarcane farmers had been facing problems which, he added, should be resolved. He said that farmers would be more than happy provided they get due return of their produce without any delay and demanded that some mechanism be introduced and effectively enforced to ensure it.